Getting TCP listener to run on Microsoft Azure is always an interesting topic to work on. Previously, I did one experimental TCP listener on Azure Cloud Service and it works quite well. 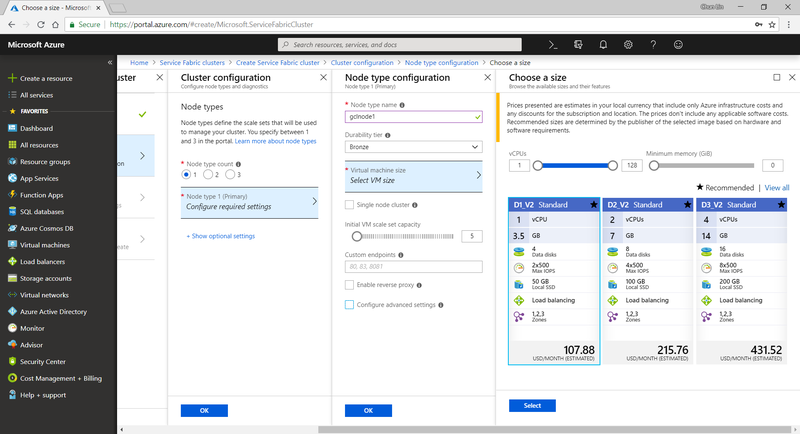 Today, I’d like to share with you my another experiment which is hosting a TCP Listener on Microsoft Azure with Service Fabric. 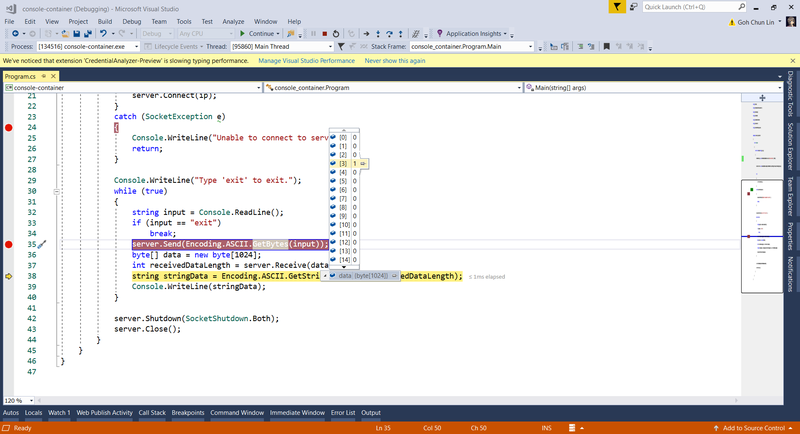 Most of the time, it’s better to run the Visual Studio 2017 in Administrator mode otherwise debugging and deployment of Service Fabric applications may have errors. Before we can start a new Service Fabric application project on Visual Studio, we first need to make sure Service Fabric SDK is installed. 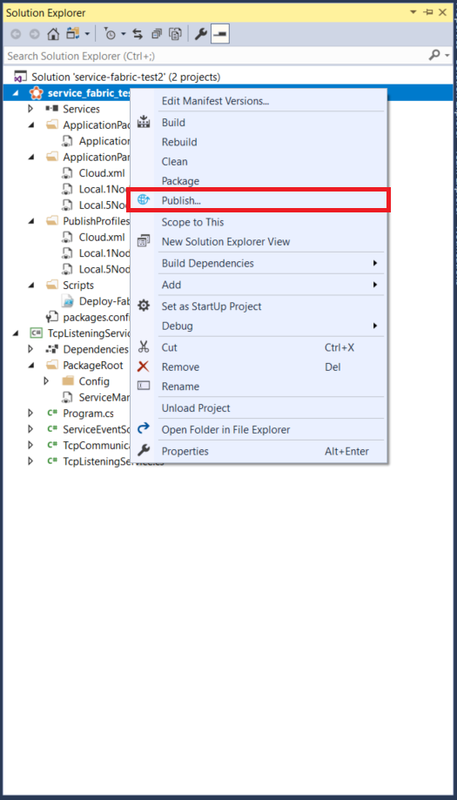 Visual Studio will prompt us to install Service Fabric SDK. The template that I use is Stateless Service under .NET Core 2.0. 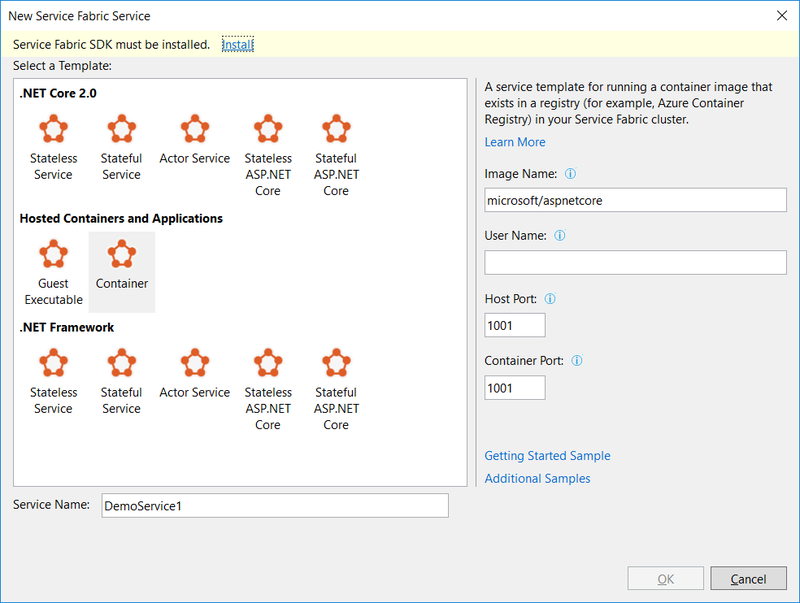 This project template is to create a stateless reliable service with .NET Core. In the ServiceManifest.xml of the PackageRoot folder of the application project, we need to specify an endpoint that our TCP Listener will be listening to. In my case, I am using port 9005. So I need to add an endpoint as shown below in the ServiceManifest.xml. In the StatelessService class, there is a CreateServiceInstanceListeners method that we can override to create TCP listeners with the following codes. Then in the RunAsync method, which is the main entry point for our service instance, we can simply include the code for TCP Listener to receive and send message to the clients. 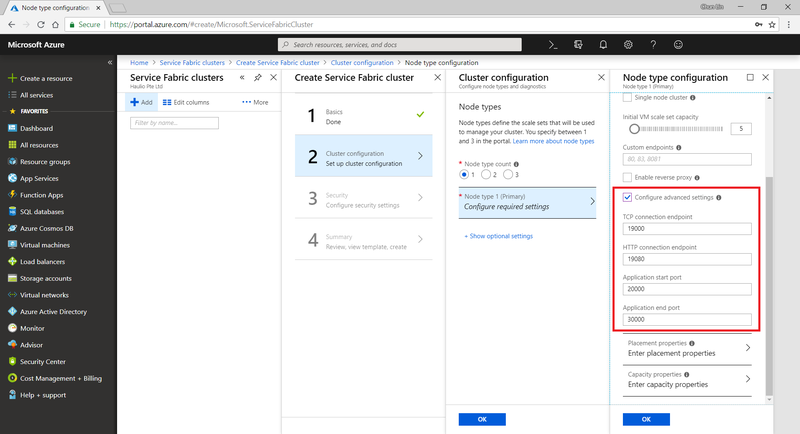 There are a few simple steps for us to follow in order to create a new Service Fabric cluster on Microsoft Azure. Firstly, we need to specify some basic information, such as cluster name, OS, and default VM credentials. Configure basic settings for a new Azure Service Fabric cluster. Secondly, we need to define Node Types. Node types can be seen as equivalent to the roles in Cloud Service. Node types define the VM sizes, the number of VMs, and their properties. Every node type that is defined in a Service Fabric cluster maps to a virtual machine scale set. We can start with only one node type. The portal will then prompt us to select one VM size. By default, it only shows three recommended sizes. If you would like to find out more other specs with lower price, please click on “View All”. I once use A0 (which coasted USD 14.88) for experimental purpose. However, it turns out that the newly created service fabric cluster is totally not connectable with a status saying “Upgrade service unreachable”. The funny thing is that the status was only shown after everything in the resource group is setup successfully which strangely took about one hour plus to finish. So I wasted about one hour for that. Hence, please use at least the recommended size for the VM. We need to specify the VM spec for each of the node type. A very interesting point to take note is that, there is a checkbox for us to configure advance settings for node type, as shown in the following screenshot. The default values here will affect things such as the Service Fabric dashboard URL we use later. It’s fine to leave them as default. Default values in the advanced settings of node type. Thirdly, we need to configure the security settings by specifying which Key Vault to use. If you don’t have any suitable key vault, then it will take about one minute to create a new key vault for you. After the new key vault is created, you may be prompted with an error stopping you to proceed, as shown in the following screenshot. New key vault created here by default is not enabled for deployment. To fix the error, we first need to visit the Key Vaults page. After that, we need to find out the key vault we just created above. Then we proceed to tick the corresponding checkbox to enable the key vault access to Azure VM for deployment, as shown in the following screenshot. Enable it so that Azure VM can retrieve certificates stored as secret from the key vault. 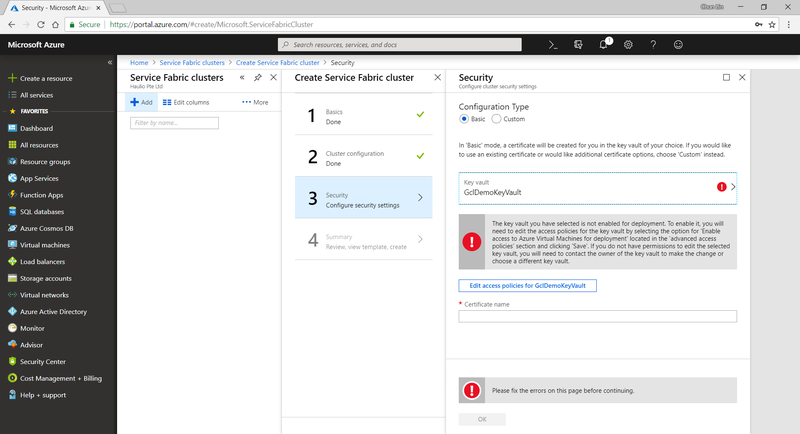 Now, if we got back to the Step 3 of the service fabric cluster setup, we can get rid of the error message by re-selecting the key vault. After keying a certificate name, we will need to wait for 30 seconds for validation. Then we will be given a link to download our certificate for later use. Let’s download the cert from here! This marks the end of our service fabric cluster setup. What we need to do is just to click on the “Create” button. The creation process took about 40 minutes to complete. It actually went through many stages which are better described in the article “Azure Service Fabric Cluster – Deployment Issues”, written by Cosmin Muscalu. After the service fabric cluster is done, we can proceed to publish our application to it. In the Solution Explorer, we simply need to right-click on the Service Fabric project and choose Publish, as shown in the following image. A window will popup and prompt us that the Connection Endpoint is not valid, as shown below. Failed to connect to server and thus we cannot publish the app to Azure. Now, according to the article from the link “How to configure secure connection”, we have to install the certificate that we downloaded earlier from Azure Portal in Step 2. Since there is no password for the pfx file, we simply need to accept all default settings while importing the certificate. Now if we go back to the Publish window, we will see a green tick icon appearing at the side of the Connection Endpoint. Now, we are good to proceed to do a publish. The deployment of a simple TCP Listener normally takes less than one minute to finish. After the deployment is done, we need to open up the 9005 port that we specified above in Step 2. To do so, we need to visit the Load Balancer used by the service fabric cluster to add a new rule for the port 9005 to be accessible from public. Add a new load balancing rule for the service fabric. The process of adding a new rule normally takes about three minutes to complete. Please take note that we need to note down the Public IP Address of our load balancer as well. The Public IP Address of a load balancer can be found in its Overview panel. Finally, we need to open up the Explorer for our service fabric cluster. To do so, we can retrieve the dashboard URL in the Overview panel of the service fabric cluster. 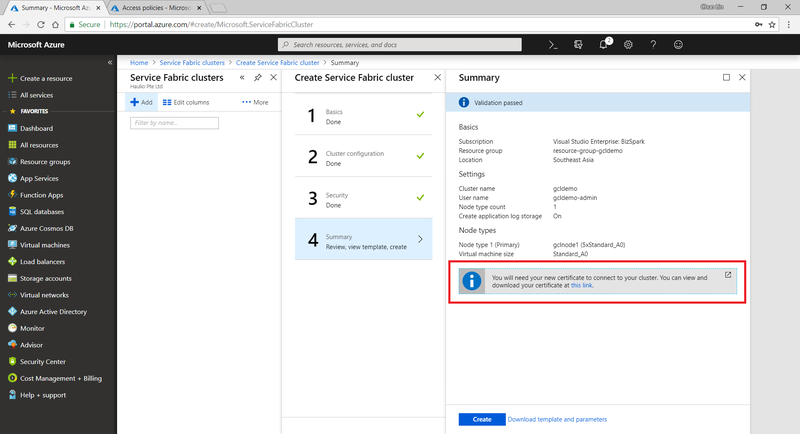 The Service Fabric Explorer URL is here. To access the Explorer, we first need to select a certificate that we downloaded earlier to authenticate ourselves to the Explorer, as shown in the screenshot below. 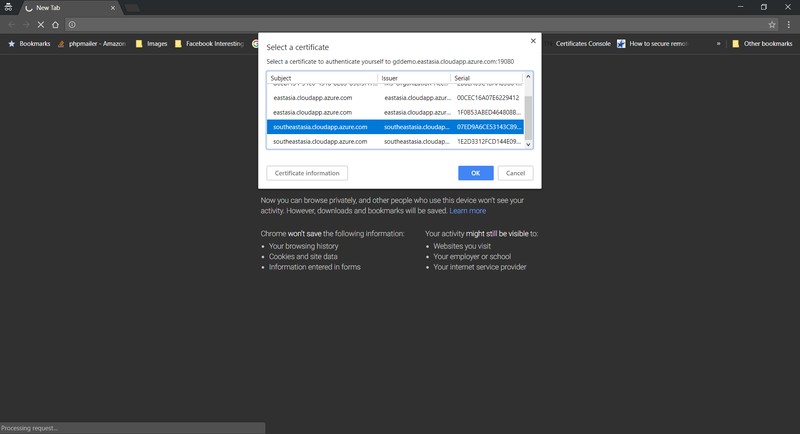 Selecting a certificate on Google Chrome. Now, if we build a simple TCP client to talk to the server at the IP address of the load balancer that we noted down earlier, we can easily send and receive response from the server, as shown in the screenshot below. Hooray, we receive the response from the application on Azure Service Fabric! 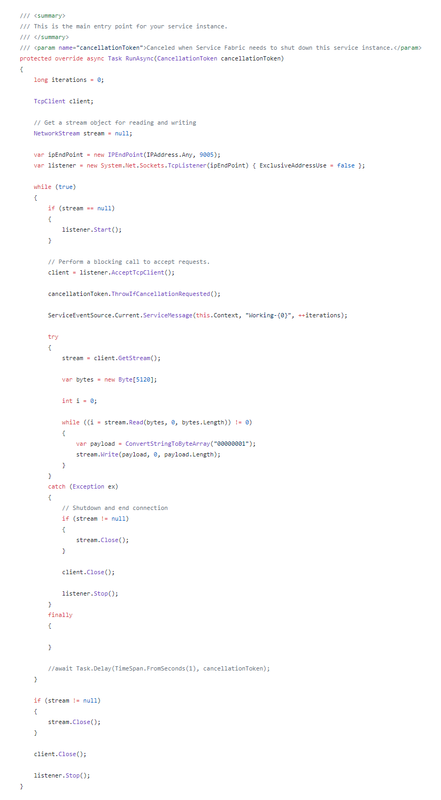 So yup, that’s all for a very simple TCP Listener which is hosted on Microsoft Azure. I will continue to research more about this topic with my teammates so that I can find out more about this cool technology. the developers have no time to do code reviews and even unit testing. So, in order to improve our code quality and management standards, we decided to introduce the idea of code reviewing by enforcing pull requests creating in our deployment procedure, even though our team is very small and we are working in a startup environment. Firstly, we set up two websites on Azure App Service, one for UAT and another for the Production. 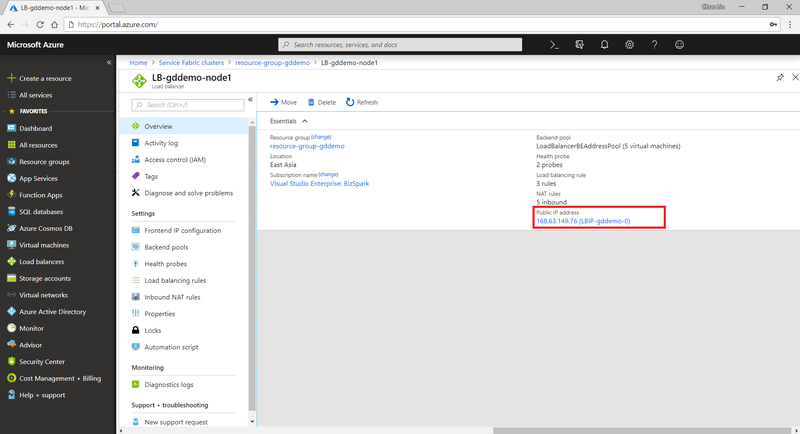 We enabled Continuous Deployment feature for two of them by configuring Azure App Service integration with our Git repository on Visual Studio Team Services (VSTS). Secondly, we have two branches in the Git repository of the project, i.e. master and development-deployment. Changes pushed to the branches will automatically be deployed to the Production and the UAT websites, respectively. 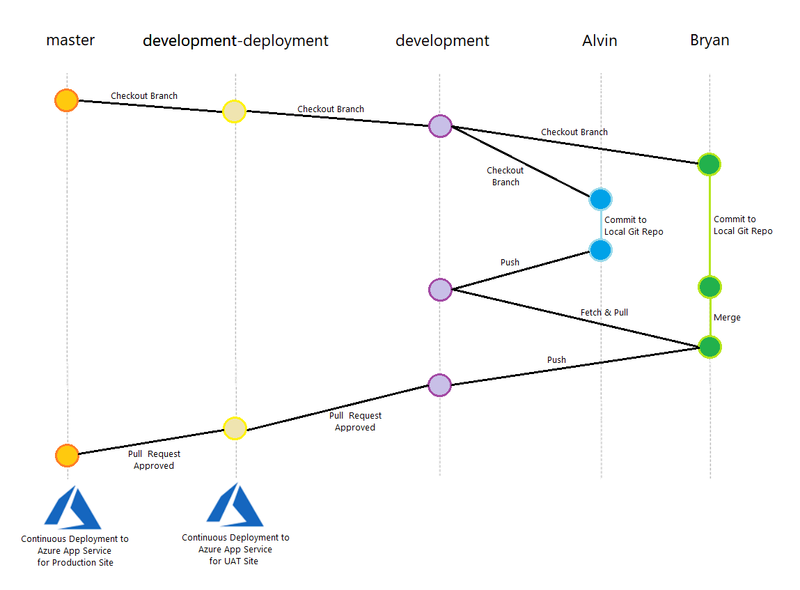 In order to prevent that our codes are being deployed to even the UAT site without code reviews, we created a new branch known as the development branch. The development branch allows all the relevant developers (in the example below, we call them Alvin and Bryan) to pull/push their local changes freely from/to it. Once any of the developers is confident with his/her changes, he/she can create a new pull request on VSTS. 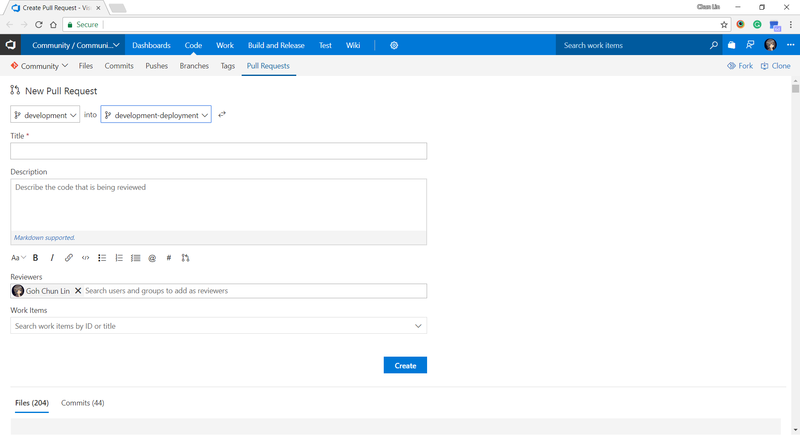 Creating a new pull request on VSTS. 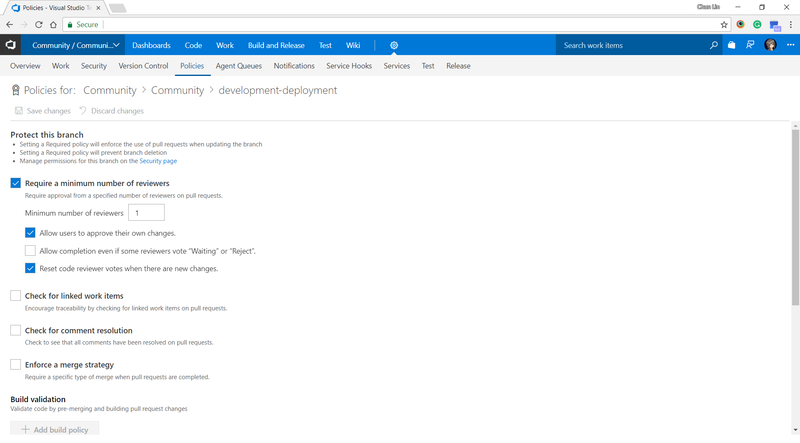 We then proceed to make use of the new capability on VSTS, which is to set policies for the branches. In the policy setting, we checked the option “Require a minimum number of reviewers” to prevent direct pushes to both master and development-deployment branches. Enabled the code review requirement in each pull request to protect the branch. So for every deployment to our UAT and Production websites, the checking step is in place to make sure that the deployments are all properly reviewed and approved. This is not just to protect the system but also to protect the developers by having a standardized quality checking across the development team.